As The Verge has pointed out, the amount of people for whom this probably worked is incredibly small—they would need to have cable and a Google Home near each other and watching it when this aired with the volume set at an appropriate level to pick up the demand. Nevertheless, it’s a creepy, fourth-wall-breaking stunt that invades viewer’s homes, and netted the expected immediate outrage online. 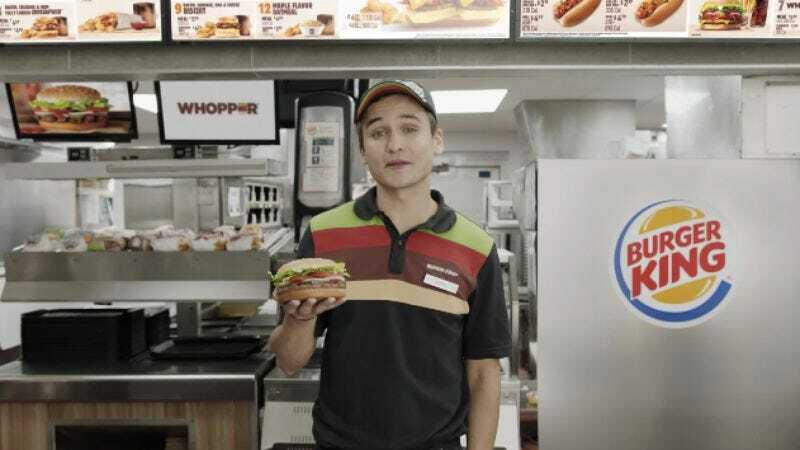 In order to make the ad work, however, Burger King had to first change Wikipedia’s definition of the Whopper to read the marketing copy: “a burger, consisting of a flame-grilled patty made with 100 percent beef with no preservatives or fillers, topped with sliced tomatoes, onions, lettuce, pickles, ketchup, and mayonnaise, served on a sesame-seed bun.” This was done under the user name Fermachado123, which is also what Burger King marketing exec Fernando Machado goes by on Twitter. Whether or not it was him is sort of moot; the entire thing is designed to go viral, and it has, but those very techniques can also be used to subvert it. So: Who’s hungry for a registered global trademark?